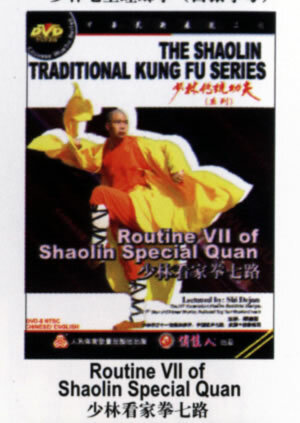 Shaolin Special Quan is one of the excellent traditional routines of Shaolin traditional Kung fu that belongs to short hitting boxing, it gives prominence to practical skill. This boxing is the most important for monks in Shaolin. Twisting, hitting, leaning, catching, kicking and trips compose its movements. It's a routine difficult but with abundant fighting skill.